This thought provoking and quick to read book is one which I would recommend to both Christians and non-Christian alike. Click on the book cover to purchase from Amazon. Wolfbooks may get a commission. “I’M TOO BUSY!” We’ve all heard it. We’ve all said it. All too often, busyness gets the best of us and overcoming this is what this book looks at. Like it or not our society often judges us and ranks us according to our busyness. 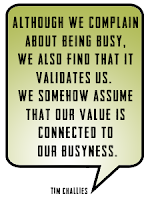 Although we complain about being busy, we also find that it validates us. We somehow assume that our value is connected to our busyness. If you think about if for a moment you will realise we actually feel guilty when we have 'nothing' to do.... so what do we do, we take out our phones or electronic devices and check email, twitter, facebook etc. Thanks to technology we want to be constantly distracted. And here, says DeYoung, is where the boundaries and rhythm, of rest and work merges in together. We are never quite working or resting. I found this book to be really thought provoking, practical and to the point and at only 128 pages it is short and easy to read. The brilliance of the book is that DeYoung isn't presenting this material as an expert, he's not saying 'I have it all together in this field, so follow my lead'. He says 'Hey I'm struggling in this and here is how I'm thinking through busyness. I hope this will be helpful to you too'. There are two chapters dealing with parenting and the dangers of unchecked use of technology which are worth the asking price, and here is were I think those who are not Christian will benefit from reading this book. (Chapters 6 & 7, A Cruel Kindergarcy and Deep Calls to Deep). 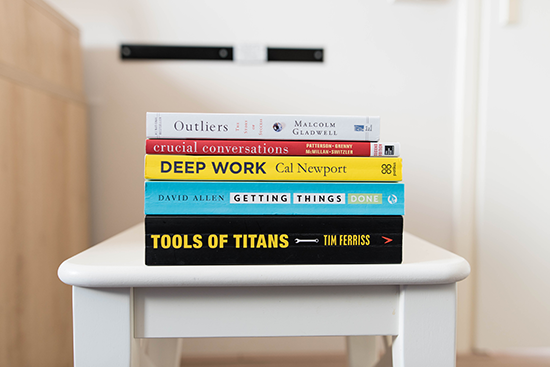 Instead of a 'How-To' book, we find ourselves walking side-by-side with DeYoung as he thinks through the root causes of why we are Crazy Busy. We see the heart of the issue and for a short book are taken through a lot of subjects from the previous two subjects mentioned, to a view of sleep, a discussion on if we are loading ourselves up just to save face & what sort of busyness is necessary. All of which are topics I am constantly trying to work through. 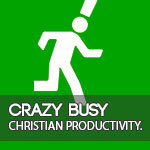 So what is the antidote to being TOO busy, or CRAZY busy? Is it the opposite, becoming lazy... No, it is like with all things, we need to moderate our busyness. 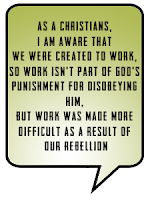 As a Christians, I am aware that we were created to work, so work isn't part of God's punishment for disobeying him, but work was made more difficult AS a result of our rebellion, so moderation is the key to overcoming busyness. The antidote to busyness of soul is not sloth and indifference. The antidote is rest, rhythm, death to pride, acceptance of our own finitude, and trust in the providence of God. So how do we moderate our busyness? How do we know that we are too busy? DeYoung says that it is when we are no longer doing what Mary was commended for in Luke 10... and that was sitting at the feet of Jesus. When we no longer have time or we are too busy to spend time with Jesus (quietly and unhurriedly reading the Bible and in prayer). Then we are not caring for our souls. Not spending time at the feet of Jesus causes spiritual damage. There are also some warning signs which we need to be aware of, when the worries of life are getting us down, we are not doing the most needful and best and we become irritable, upset, and easily angered. To counter this he suggests that we need a sense of our priorities and also a sense of our posterior-ites. That is to say know what you will say No to - we live in an age where there are so many other things tugging at us for attention and somehow our lives end up being like a junk drawer, stuffed full of extra things (or jobs we’ve taken on) that don’t belong anywhere else. Don’t take on any extra stuff just to look good or please others. So much of our busyness comes down to meeting people’s expectations. Not only is that a manifestation of pride and therefore a sin; it also makes our lives miserable (living and dying by the approval of others), and it usually hurts those who are closest to us. People often call it low self-esteem, but people-pleasing is actually a form of pride and narcissism. One of the reasons we struggle so mightily with busyness is because we do not expect to struggle. 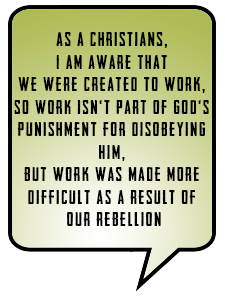 Many Western Christians—and I’m chief among them—can easily live with the tacit assumption that we should not suffer. One reason we never tame the busyness beast is because we are unwilling to kill anything. We rearrange our schedule and tighten up our breaks, but nothing improves because we haven’t pruned anything. We haven’t established what we won’t do any longer. Sometimes God has called you to a season of busy. Jesus was busy. But he prioritized perfectly. And I won't prioritize perfectly, but I can make priorities based on what I believe God is calling me to do. It may be a busy and rich life, and that's fine. Boundaries, saying no to the less-important-but-still-good things that come across my path, recognizing when a season has ended and some of my priorities need to change. Have you read this book? Let me know if it challenged your thinking on being busy and if you made any changes because of it. Would rather watch the movie? Click the image for the YouTube version of this review. Sign up for my newsletter so you won't miss a thing. Then head over to my Facebook page The BistroMath to join the conversation. You can also follow me on Twitter or Google+. To do so click on the images below.